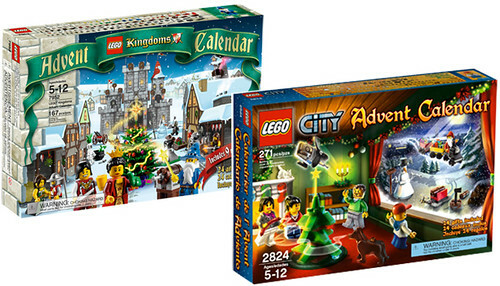 If you have been following my blog the past two years then you know that I like to unveil the LEGO Advent Calendar models each day of December while telling a story. This year, I decided to not only do the Castle theme, but to also cover the City theme as well. 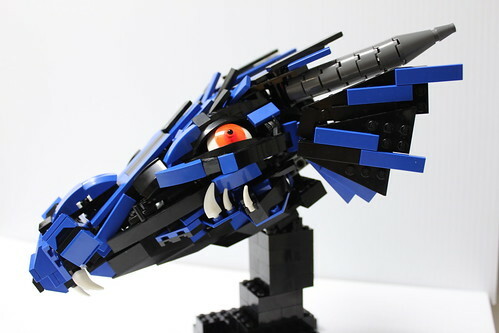 I’ve blogged previously that both of my brothers are just as good at LEGO building as I am, and this dragon head made by my brother Mike Asanuma is another fine example. He made it over two days of the Thanksgiving weekend. He said he wouldn’t mind making the whole body, but as the head is at least 7 inches long, the body would have to be rather large. I especially love how he made the eye. Not only does it look alive, it almost looks as if its grinning. Mike is also a professional artist, but he normally works on studio scale replicas of things like the orignial Battlestar Galactica which is currently on display at the Science Fiction Museum in Seattle. 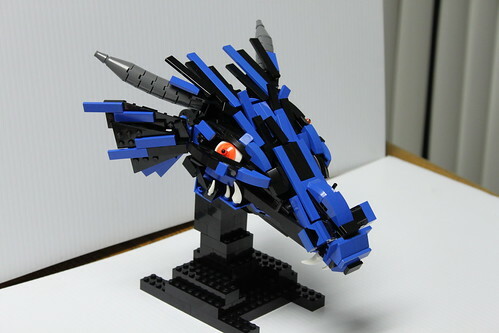 Iain Heath certainly has his own unique style when it comes to LEGO building. 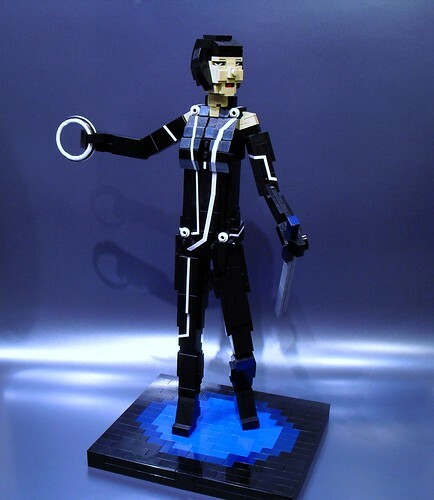 Here is yet another good example, Quorra from the new Tron Legacy movie. This model represents something of a new direction for me, technique wise. I am trying to get away from my trademark “2X miniland” scale characters, and most of my major projects going forward are going to be at this somewhat larger (1ft) scale. I’m still working the ‘formula’, but this style should enable me to create much more detailed and lifelike characters. 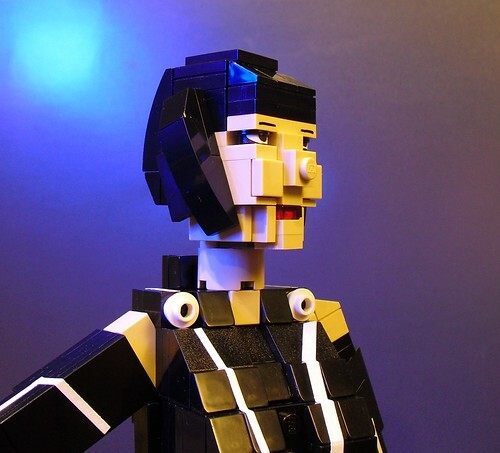 It was very heartening to see a stronger female character in this version (compared to the original), so I couldn’t resist modelling her in Lego! 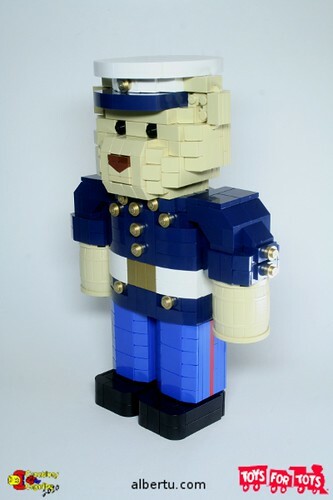 The head alone for this model required around 50 bricks and 4 hours effort. 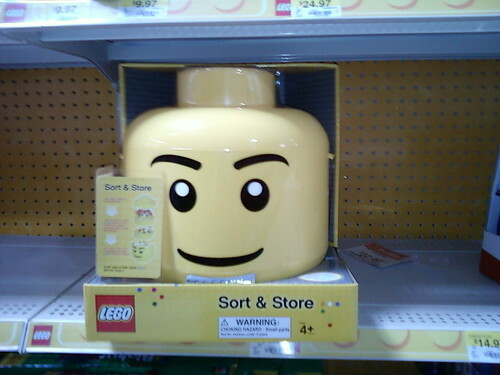 On of the strangest new LEGO products that I recently found at the store is the new Sort and Store giant minifig head. 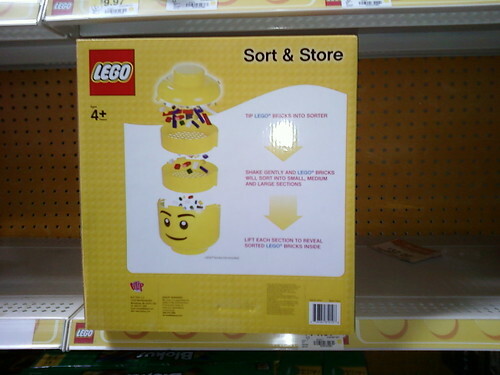 If you are familiar with the Box 4 Blox sort and store product, this is almost the same thing. The only difference is that it is round and has less levels of sorting. And if you are wondering, it costs $40. 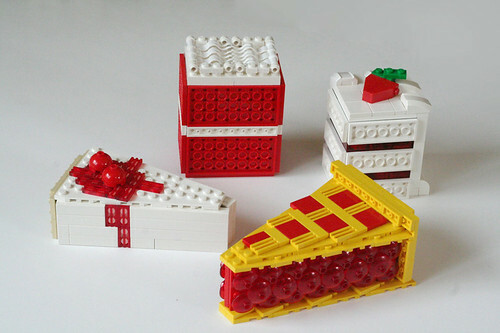 Although this was blogged on Brothers Brick it was too cute not to make a mention of it here. 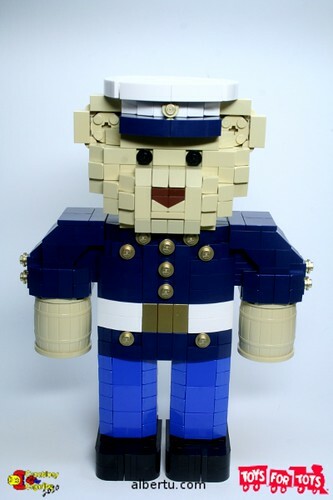 Albert U created this adorable Toys for Tots Teddy Bear for Nannan’s Creations for Charity donation drive. 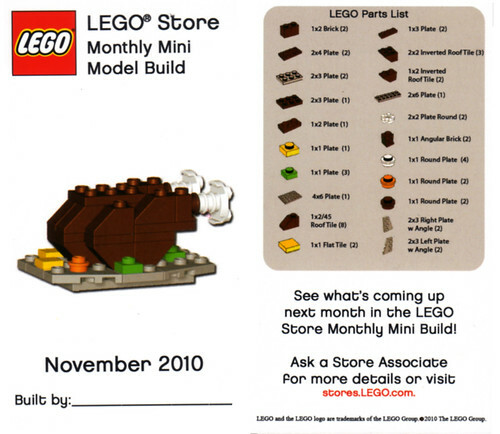 I was sitting and thinking about Thanksgiving and I saw the in-store build from the LEGO store. 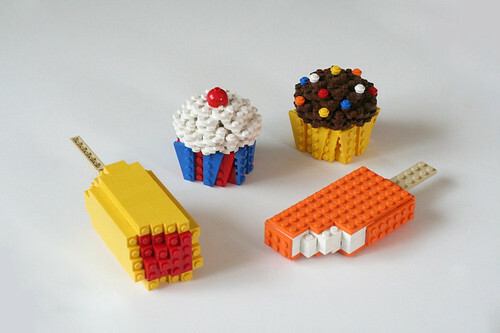 Benny Brickster posted a rather interesting challenge on the LEGO Group on Flickr — what would you make with exactly 62 bricks? 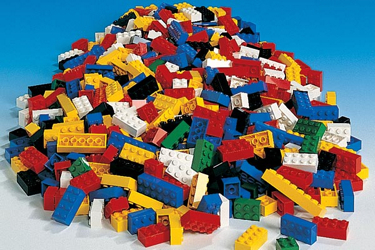 No, there are 62 LEGO bricks for every person in the world. 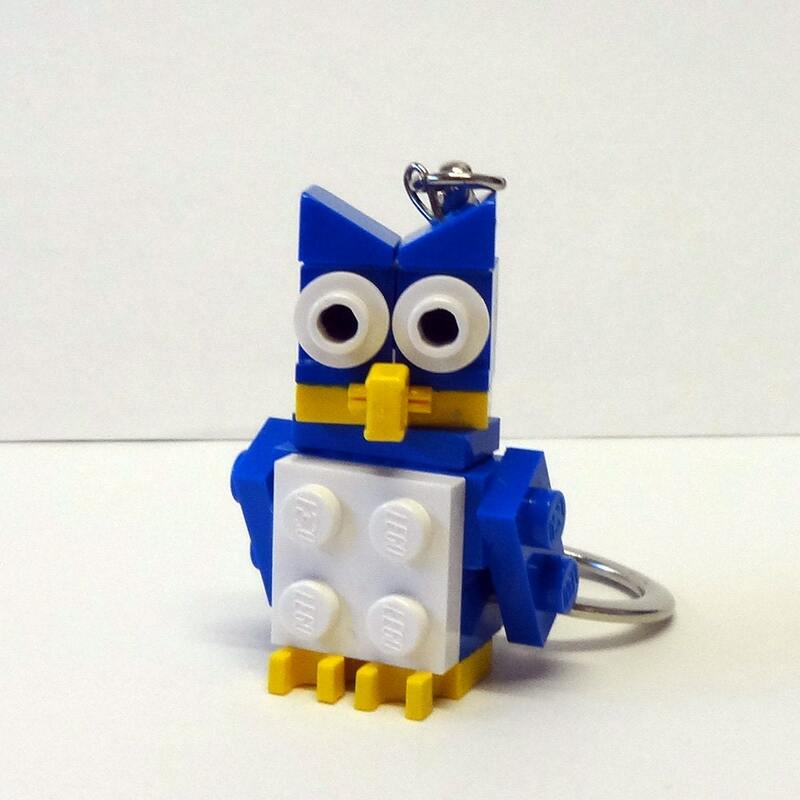 Did you know there are 62 Lego bricks for every person in the world? So if every person in the world had only 62 pieces, what would they do with them? And that got me thinking, what would I make with just 62 parts? I’ve done many small models over the years, and 62 is certainly a good amount of parts to do a lot of things. 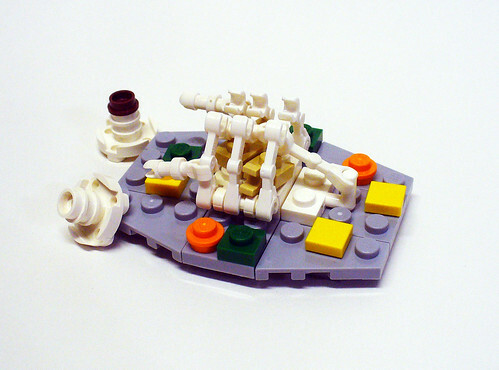 You don’t need to be a Master Model Builder to make something with so few parts. So, what would you make? I usually don’t cover award shows as a general rule (heck, I don’t even watch them as a general rule), but when LEGO makes an appearance, it should be noted. 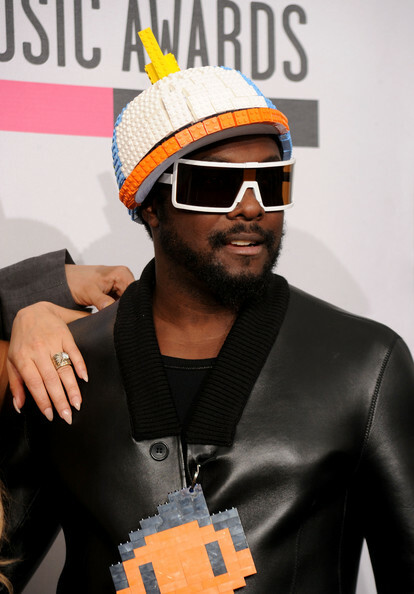 Will.I.Am of the Black Eyed Peas wore LEGO bricks as accessories to the American Music Awards. 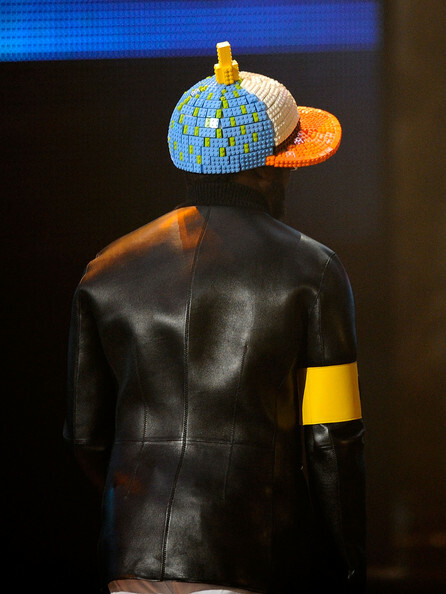 Although it looks like the LEGO bling on his jacket zipper was built, the hat looks more like bricks were just glued on an existing hat. Tags:"The Beginning", album, AMA, American Music Awards, award ceremony, Black Eyed Peas, CD, Fashion, Flickr, LEGO, Model Building Secrets, Mosaic, music awards, Will. I . Am. PLEASE NOTE: The gorilla apparently does not have dots, but instead is a “weird melted look.” Not sure what that means, but I guess you can distinguish it that way. The bags have unique patters of raised dots along the bottom. I tried to reproduce the pattern the best I could tell from the pictures. 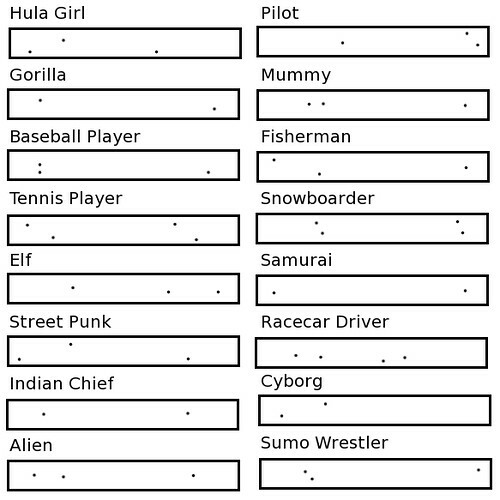 The Indian Chief and Samurai have very similar dot patters. 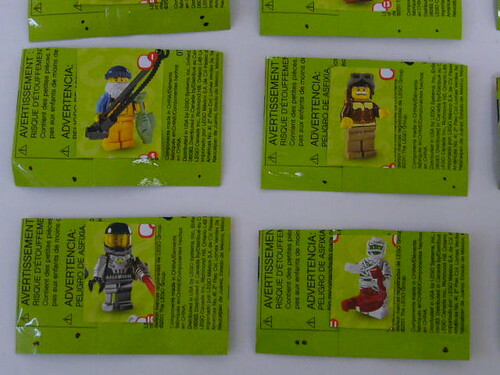 I expect those to be the hardest to identify in-store.